Recently, I’ve been reflecting on how inherently one dimensional The Foodways Project is. As the sole proprietor of TFP, my biases, prejudices, and core identities as a target and agent filter every story, article, and piece of media that I produce or share. I consider this problematic because I created this project under a for us, by us framework, with intentions of making space for many voices. 10 months after launching (wahoo!) the impact however, has been fakequity, wherein I’ve used TFP to represent a greater volume of voices than it does (often through the use of plural pronouns like we/us/ours). In truth, The Foodways Project is for us, by me. And for that, I am sorry. 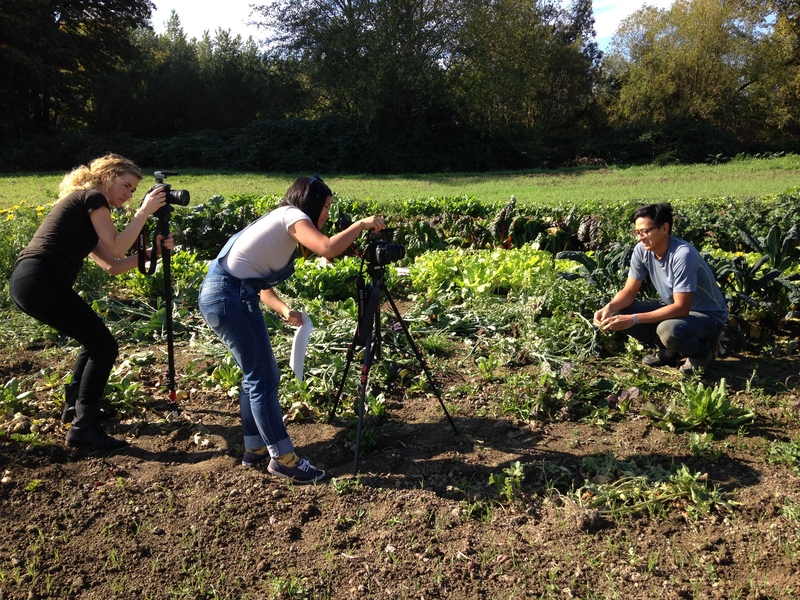 Action shot from a recent storycatching at Jumani Farm with a bit of meta-filming in the mix. I want to thank everyone who’s crossed paths with The Foodways Project, online and in-person. My work through this project is still very much in its infancy and you all–readers, storytellers, and fellow activists–have been the village that it takes to help this project and me grow. As my analysis of this work deepens and radicalizes I only ask for your patience and forgiveness as TFP grows through periods of awkward gawkiness. So what’s all this mean? What’s the damn point of it all? While my capacity doesn’t allow me to grow the human power of TFP at this point, this is my public statement to hold myself accountable to continuously acknowledge how my intersecting identities as an API cis-gendered, heterosexual, able-bodied woman with class privilege, shape the inputs and outputs of The Foodways Project. I ask those who are willing to also hold me accountable through dialogue, feedback, and sharing of perspectives. 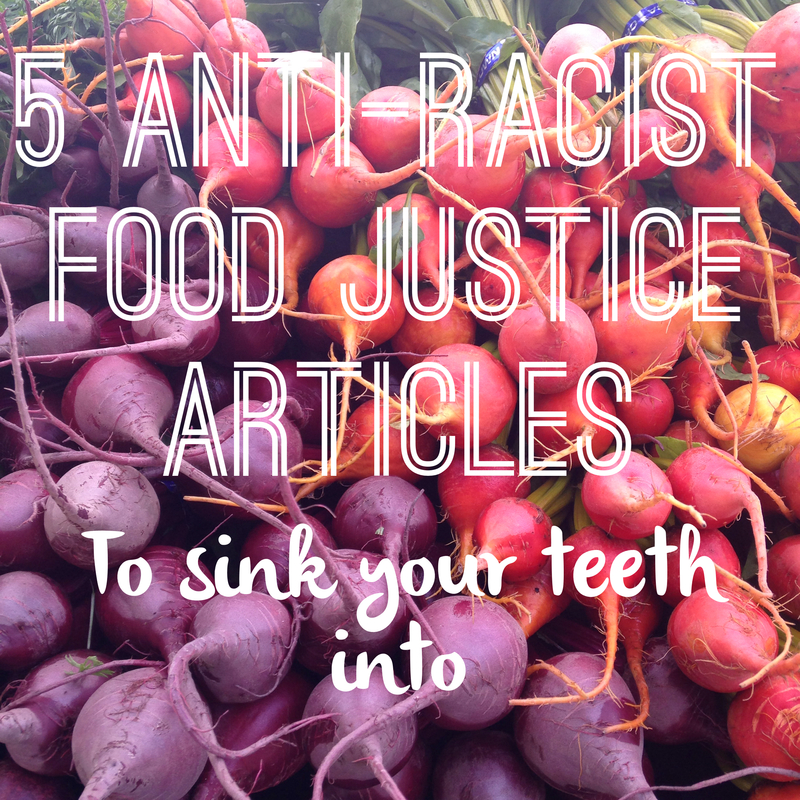 To give credit where credit is due here are 5 transformational articles centered around food, race, and power that have shaped my anti-racist foodie analysis. Far and away, these pieces speak to issues of racism and oppression in our food system better than I ever could. Read on, fight on! Dr. Harper and her work on The Sistah Vegan Project represent the unapologetic activism that I strive to embody. Her account of raising critical consciousness within the mainstream food and sustainability movement and the backlash she received that was rooted in white fragility was just plain rad and reminded me to take space, make waves, and challenge supremacy. Let me just say, Angela Garbes is a badass. Her work at The Stranger is shifting the narrative of Seattle’s food scene towards communities of color and mainstreaming our voices. YAS. This recent article captures the stories of some of our favorite chefs in Seattle! Whoop! Ruth’s story of food shaming, coupled with white appropriation of API foodways is something I’ve been trying to write about for months now. I was never able to conceptualize the complex feelings I had about food gentrification, but luckily Ruth nailed it. This should be a pre-requisite read for everyone. Literally everyone. There’s not much to say about this article beyond that it answers the question posed in the title so well we reference it at least once a week. So many organizations/movements to crush on in this article, which beautifully highlights how food is a touchstone to address intersecting forms of oppression. There’s so many layers to Leah Penniman’s article using personal narrative to explore restorative justice and transformative alternatives to the prison industrial complex. Well done. Keeping this so I can read when time permits, thank you! Thanks! Happy to share resources!